A recent study out of Europe suggests New York firefighters will getting cancer after spending months responding to the Sept. 11, 2001 terrorist attacks at Ground Zero, Bloomberg reports. Firefighters, police officers and volunteers from throughout Massachusetts and New England descended on New York City in an effort to help cleanup and body recovery efforts. 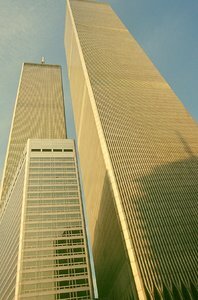 But what many will remember is that a thick haze and cloud of dust covered much of Manhattan after the attacks. What the study has found is that people in that area may have been at risk for exposure to asbestos. As Boston Mesothelioma Lawyers well know, exposure to asbestos causes the fatal and incurable cancer mesothelioma. And the majority of these cases stem from older workers who spent time in old factories or working on parts manufactured with asbestos, such as brake pads, in boiler rooms or in construction of older buildings that used asbestos as insulation. According to the UK-based study, firefighters who responded to the Ground Zero aftermath were 19 percent more likely to get cancer than those who didn’t spend time there. The study looked at 9,800 firefighters over a 7-year period following the attacks. In that time, 27 firefighters died of cancer. The study didn’t include firefighters over 60 or those who had a previous cancer diagnosis. According to Bloomberg, more than 50,000 people were exposed to chemicals and toxins in the air while trying to rescue survivors, recover bodies and clean up the area following the attacks. Many of these people came from New England and other parts of the country. The article goes on to look at the high costs of dealing with medical bills that can arise from those diagnosed with cancer. In January, President Barack Obama signed legislation to help rescuers and those suffering from ailments connected to the wreckage in New York City. yet the article states there isn’t currently any compensation for firefighters who got cancer because of exposure to the toxins. In December, lawmakers blocked legislation that would have allowed those who worked there to collect up to $6.2 billion as far out as 2031. The bill was amended to $4.3 billion and closes in 2016. Yet this poses a problem for those diagnosed with mesothelioma after exposure to asbestos. Mesothelioma is a slow-developing cancer that can take as long as 30 to 40 years before diagnosis. It can that long before the symptoms — coughing, chest pain and fluid build-up — are noticed and a diagnosis is made. And once diagnosed, the average person only lives 12 months. It’s critical that those who are exposed to asbestos and are diagnosed with mesothelioma or other asbestos-related illnesses take action and get help for themselves and their families. The Law Offices of Jeffrey S Glassman provide representation of victims unlawfully exposed to asbestos who have been diagnosed with mesothelioma in Boston and throughout Massachusetts and New England. Call 1-877-617-5333 for a free and confidential consultation to discuss your rights.